BBEnergy’s core expertise and competency is power and energy management in the area of mine ventilation, refrigeration and cooling. The company is registered as an ‘Energy Services Company’ (ESCO) with the South African national power supply company, ESKOM, reflecting technical competency and financial sustainability in the field of energy efficiency and load shift management for mine cooling, refrigeration and ventilation systems. BBEnergy has carried out numerous energy efficiency and energy management projects incorporating technologies that include; inlet guide vane control of main fans, pump scheduling and optimisation systems, refrigeration scheduling systems and optimisation systems with ice mass, thermal stratification and water bladder thermal storage technologies. 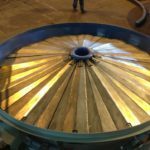 BBEnergy have experience with energy recovery systems such as Pelton wheel turbines, reverse running pump turbines and three-pipe feeders systems. BBEnergy has developed South Africa’s first 100% designed and built linear Fresnel CSP (concentrated solar power) system for process heat. BBEnergy will aggressively investigate and develop all new opportunities and projects. Current Research and Development initiatives include but are not limited to; concentrated solar energy systems and energy recovery systems appropriate to the mining industry. BBEnergy have implemented energy management systems to help mines to reduce energy consumption at main fan stations with automatic inlet guide vane control technology. The energy management system enables main fans to operate at full flow during on-shift periods and to reduce flow during off-shift periods and peak electricity demand times. This results in significant cost savings for the mine. BBEnergy have developed and tested this technology for over two years. Funding for the implementation of these projects is usually provided by Eskom, through its demand-side management (DSM) programme. BBEnergy has implemented energy management projects at Impala platinum mine, Kloof gold mine, Driefontein gold mine and more recently at Moab Khotsong mine. The energy management system including automatic inlet guide vane control can be retrofitted to existing surface fan stations during an off week-end with minimum disruption to mining operations. This control system allows the fans to operate at reduced flow during peak electrical demand periods, while still maintaining high-efficiency operation. BBEnergy have implemented energy management systems to help mines to reduce energy consumption and electrical power costs at surface refrigeration installations. The energy management systems together with thermal storage technologies optimise the operation of refrigeration equipment to deliver the necessary mine cooling at minimum power consumption and cost. This results in significant cost savings for the mine. Funding for the implementation of these projects is usually provided by Eskom, through its demand-side management (DSM) programme. BBEnergy have designed, constructed and commissioned a wide range of mine refrigeration and cooling installations. Energy management systems can be retrofitted to existing installations of included as part of new installations. Ice mass thermal storage operates by placing ice in a storage dam on surface, ice can be made at night and stored until required. Refrigeration machines are more efficient at night because it is cooler. In the daytime, the refrigeration machines can be turned off once enough ice has been made. During this period, cooling is provided by melting ice in the ice dam. Overall, on a 24-hour cycle, the ice thermal storage system uses less power than a conventional water cooling system, and the added benefit is that the system runs at night when the cost of power is lower. BBE has demonstrated the effectiveness of this technology at the recently completed 800 ton ice thermal storage at AngloGold Ashanti’s Mponeng mine, located near Carletonville. BBE is now constructing ice thermal storage systems at Anglo Platinum’s Townlands mine, AngloGold Ashanti’s Tau Lekoa mine and AngloGold Ashanti’s Moab Khotsong mine. A flexible membrane or bladder can be used to separate warm and cold water masses in a common dam. 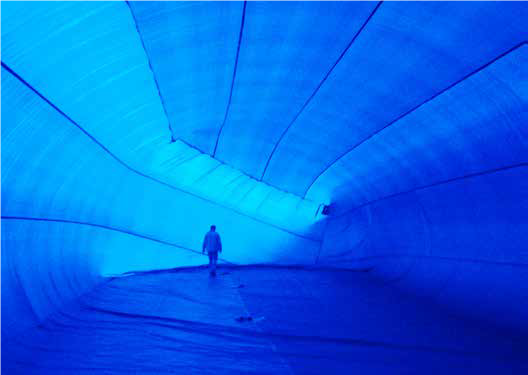 Bladder thermal storage can be retrofitted to almost any existing surface dam. BBEnergy have designed and commissioned energy management systems incorporating thermal storage by bladder separating at Impala Platinum Shafts No.1 and No.12. BBEnergy have experience in the engineering discipline of water reticulation, pumping and energy recovery. BBEnergy have a high level of professional competency in the analysis, design, optimisation and specification of hydraulic systems and the individual components for cooling water distribution as well as mine water reticulation systems. This includes high-pressure pumps, energy recovery devices (Pelton wheel turbines, reverse running pump turbines, three-pipe feeders, etc), high and low pressure piping, control valve, thermal insulation, dam design amongst others. The power costs associated with operation of mine water pumpimg systems can be optimised by considering the high and low Eckom Megaflex power cost tariffs. These systems are investigated and modelled, taking into account surrounding operational constraints like water storage capacity, interconnections, flows, temperatures as well as individual pump efficiency and the number of available pumps. 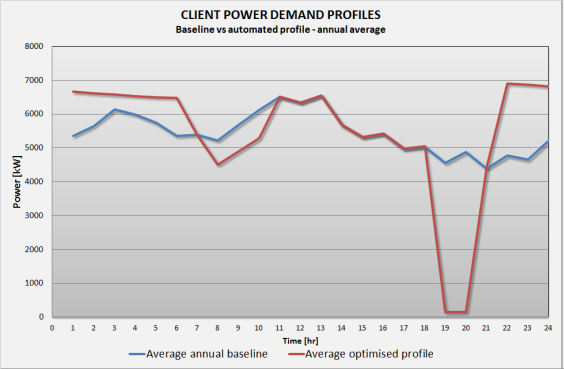 Control software is then deployed to forward-plan scenarios and control operational parameters in order for pumping requirements and capacity to be scheduled to be minimised during peak times and maximised during off-peak times. Good examples of these are municipal and regional water and pumping networks as well as mine cooling and fissure water pumping systems. BBEnergy personnel have successfully completed several such projects, including sourcing funding from Eskom DSM and have designed and commissioned energy management systems incorporating pump Scheduling at Impala Platinum. 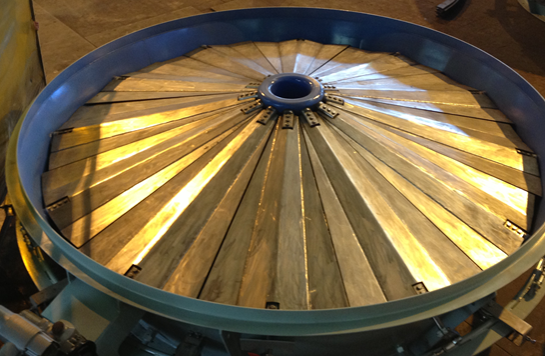 BBEnergy have designed, developed and constructed a linear Fresnel concentrated solar energy collector. The collector has been optimised for local environment conditions and constraints using simple and reliable engineering with the maximum of local components. BBEnergy’s linear solar energy collector makes use of normal high quality mirrors, to reflect and focus the sunlight towards a central receiver-tube. A thermal oil or pressurised water can be heated or steam can be generated to a maximum temperature of approximately 250 °C. The solar collector has been used to generate steam and power an absorption refrigeration machine. Potential applications include a number of industrial processes as well as absorption refrigeration and desalination. It is envisaged that the solar collectors will be used to provide heat to power large absorption refrigeration machines for mine refrigeration systems and ultimately even generate electrical power. The BBEnergy solar collector is a modular system with a nominal rated capacity of 75 kW per module, which can deliver, optimally, 710kW of thermal energy per day. These modules can be installed in an array and the number of modules installed is dependent on the requirements of a given application. Modules covering an area roughly equivalent to a rugby field would produce approximately 3.5MW of heat.